Hideo Mabuchi is a self-taught ceramist who likes to make wood-fired sculptural vessels and vessel-based sculpture. When not in the studio he teaches and conducts research as a Professor of Applied Physics at Stanford University. Combining these interests, he is working to develop new teaching approaches that integrate ceramics with scientific and humanistic studies to bring craft into the core of liberal undergraduate education. 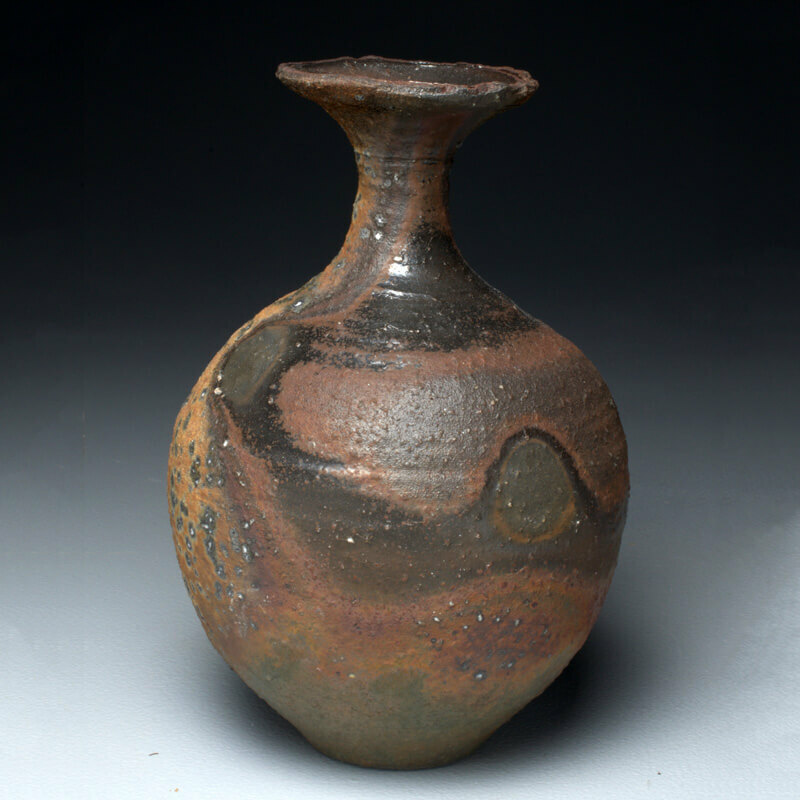 My current studio practice focuses on thrown-and-altered stoneware for atmospheric firings. I dwell in the interplay of material and form and in the touch of dry fingers on spinning clay. Recently I have been making sculptural pieces by throwing pairs of vessels that I then merge by hand. The forms are studies in tension and harmony, and when I’m lucky the wood firing process leaves them with fired surfaces that reinforce the form yet preserve some of the tactile qualities they had as leather-hard clay.